The Lakes seems like an odd name for a residential community anchored in the middle of the desert. I can’t blame people when they get confused, hearing about “lakes.” Some misunderstand the reference and think I live way out near Lake Mead. Others associate the name with “Lake Las Vegas” — a ritzy golf course development with million-dollar homes located on the eastern edge of the city. Actually, The Lakes is located right smack in the middle of town on the west side. It’s about seven miles away from the Las Vegas Strip (a.k.a. Las Vegas Blvd.). It’s bordered by Durango to the east, and Hualapai to the west — then Sahara to the north, and Desert Inn to the south. If you keep on heading west from where I live, the next development towards the mountains is called Summerlin, which most people have at least heard of. Not so, with The Lakes. The centerpiece of the community, and its namesake, is a large man-made lake, Lake Sahara. It was originally planned to have two man-made lakes but was downscoped to one. It was built from the mid-1980s to the mid-1990s, and at the time was at the edge of development in the valley. It consists of a mixture of gated communities consisting of large single-family homes, condominia, commercial areas and offices. Living in the lakes is like living on a lakeshore property in the middle of the desert! Think of it like living in a beautiful rustic-style neighborhood. The human-made lakes in The Lakes are beautiful to take a quick swim in and sit on the beach and tan. Enjoy the hot weather and the crystal clear water as you down margaritas. 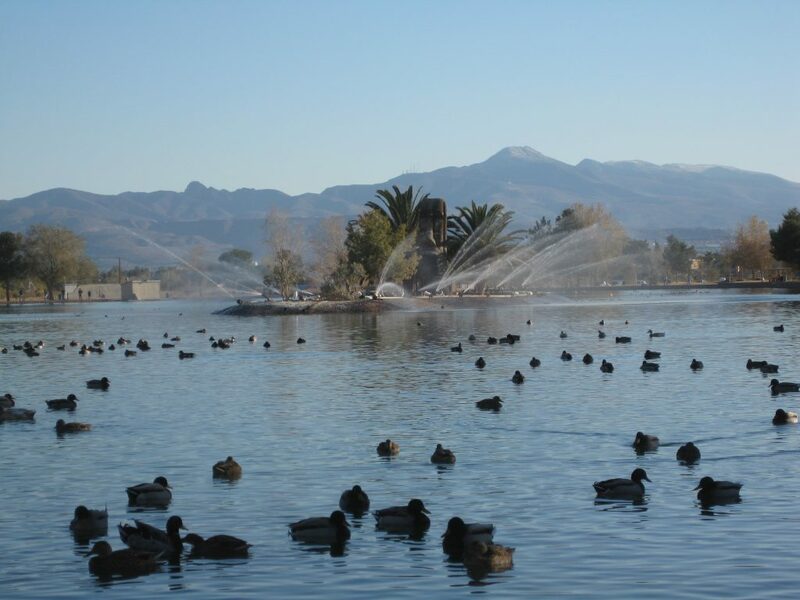 The lakes is the perfect neighborhood for anyone looking for a vacation rental in the Las Vegas area.